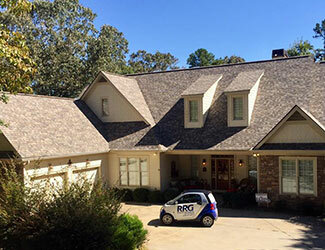 At Roofing Resources of Georgia, we care a great deal about delivering unmatched value and craftsmanship, paired with prompt, courteous customer service. Being prompt and courteous is our way of life, but we also decided to only offer the best roofing products we could find and complete the necessary training and certification to make fully warranted and manufacturer-backed installations. Our roofing company is fully licensed, insured, and certified to install the highest quality shingle-based roofing systems in the industry. We are a Platinum Preferred Contractor for Owens Corning roofing products. The Owens Corning Total Protection System consists of a thoughtfully engineered combination of best-in-class materials for use in roofing installation. From Weatherlock ice & water shield to the latest synthetic underlayment, specially matched starter shingles, coordinated ridge vents, and the most durable architectural shingles available, the Total Protection System is designed for longevity. When properly installed by a certified contractor such as Roofing Resources of Georgia, it is designed to keep your most important investment — your home — safe for longer than any other shingle-based roof. As a bonus, the new Owens Corning Duration and Oakridge architectural shingles are as beautiful as they are durable, which adds to the curb appeal and market value of your home for many years to come. 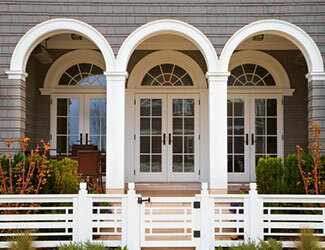 Take a look at our gallery for a few examples of how a new roof can dramatically improve the appearance of your home. Roofing Resources of Georgia would love to help you increase the value of your home, add new curb appeal, and protect your investment. Clay Tile is one of the oldest and, from a global perspective, most widely used materials for roofing. When properly maintained, a tile roof can last 100 years or more, withstand hurricane force winds, reduce demand on heating and cooling systems, and retain its original beauty throughout the lifespan. Tile is the material of choice for certain architectural styles, including Mediterranean and contemporary. It is a more common choice in sunny locations, perhaps due to its insulating properties. There are a couple of requirements, however, that should be considered before selecting tile for a new roof. First, tile is much heavier than other types of roofing material, and the structure must be strong enough to support it. If the structure was not originally designed to support the weight of clay tile, then additional supports may be required in order to install it. 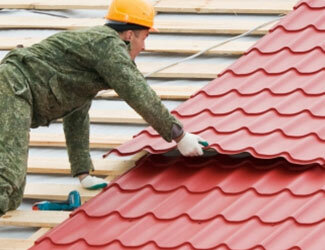 Secondly, tile is significantly more expensive than other types of roofing. For many, the upfront cost is easily justified by the expected lifespan, insulating properties, and beauty of the product. Roofing Resources of Georgia is proud to offer all the expertise, product knowledge, and resources you need to get a top quality tile roof installed on your new or existing structure. We would love to help you enhance the beauty, value, and longevity of your home with a new tile roof. If you’re interested in learning more about tile roof cost and installation, be sure to contact us. Metal roofing offers better longevity than traditional asphalt shingles, and a distinct style that is popular in North Georgia. Metal also resists weather-related damage better than most other roofing products. While the cost of a metal roof installation is typically higher than shingle roofing, total cost of ownership is averaged over a longer lifespan, so the cost per year may be favorable when combined with a preference for the aesthetic style of Standing Seam or Tuff Rib Metal. 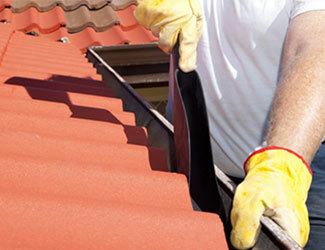 Roofing Resources of Georgia has all the expert resources and experience you need, to help you select the right metal roofing product for your home or business, then get it installed correctly. Wood shingles and shakes are typically made from pressure-treated wood or cedar and are more expensive than asphalt shingles. This type of roofing requires periodic maintenance, but is available in natural or pre-stained and aged finishes, which give your roof a weathered look. Wood shingles are typically insect and rot resistant and last about 30 years. The roofs have a distinctive look because the thickness and length of each shingle can vary. Shake roofs tend to have a rugged and rustic look that can add a lot of character to a home. Call us at (678) 517-4211, or contact us online by clicking the link below for a FREE, No Cost Roofing Inspection!